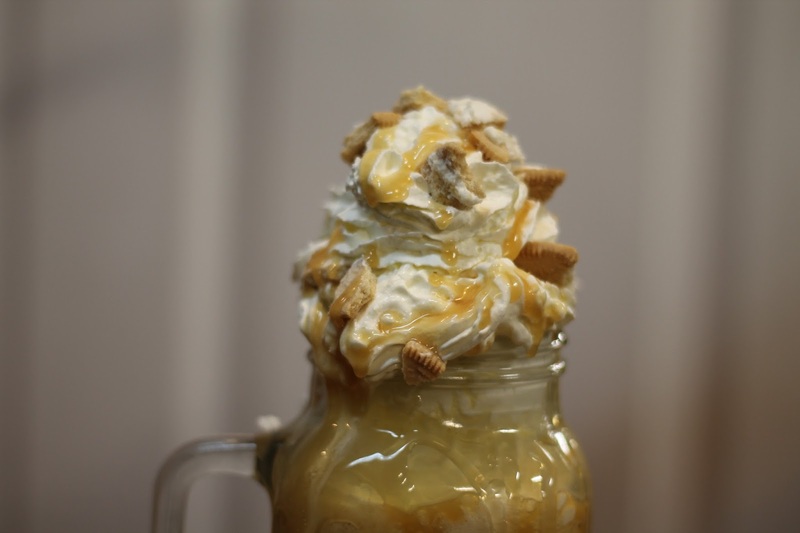 Vanilla Toffee Oreo Freakshake Recipe | gingerbread smiles. 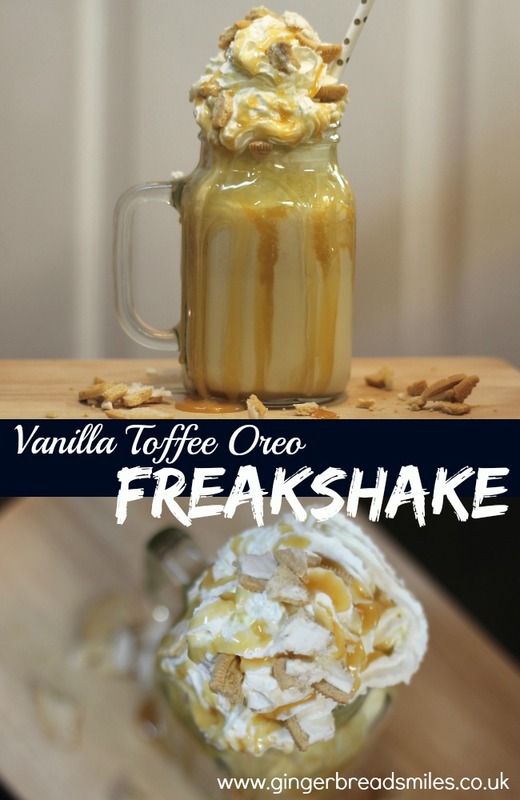 Following on from my Chocolate Peanut Butter Freakshake recipe that I posted on Sunday, here is my Vanilla Toffee Oreo Freakshake. This is for those folks who aren't major chocoholics like me but still love a good sickly milkshake. Filled with toffee syrup and Golden Oreo biscuits, this shake is sure to satisfy your sweet tooth. A very easy but delicious shake recipe, simply add all the milkshake ingredients to your blender and blitz away. 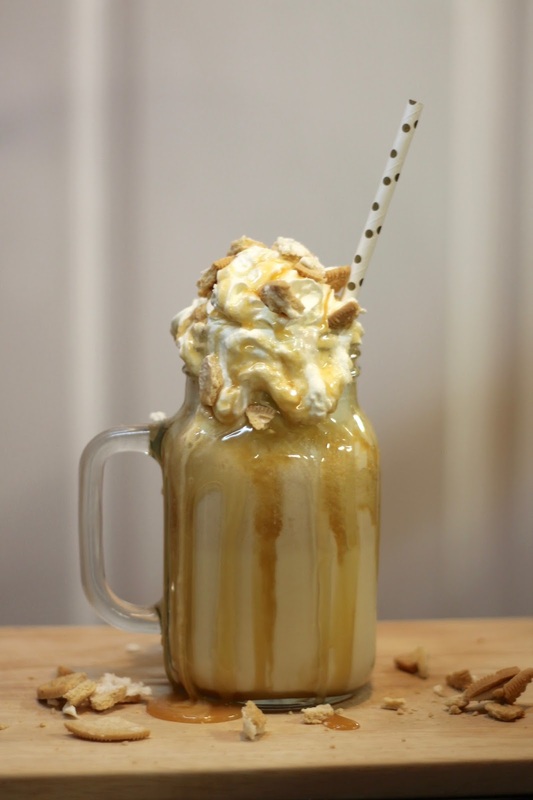 Whilst the blender is doing its thing, drizzle the toffee syrup around the inside of your glass. Pour your milkshake in being careful not to touch the sides. Finish off with a mountain of whipped cream then squeeze toffee syrup all over and break up more biscuits on top. 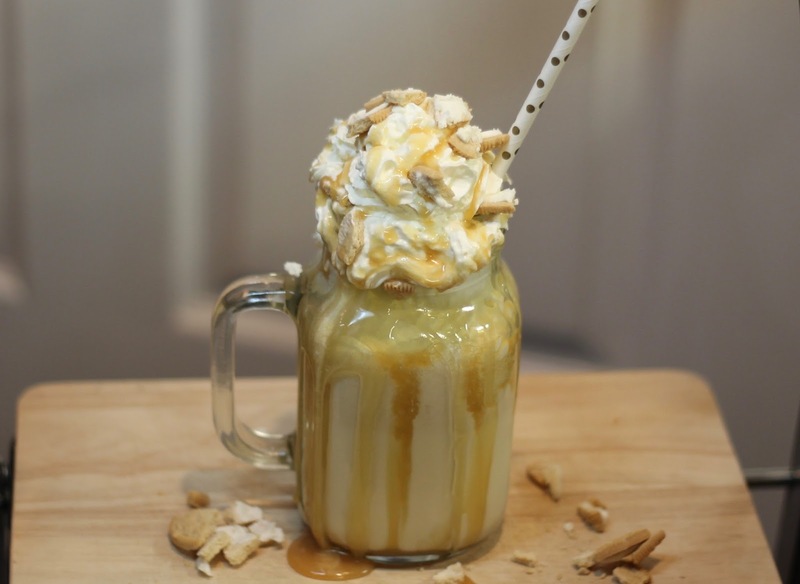 There you have a very sickly Vanilla Toffee Oreo Freakshake! 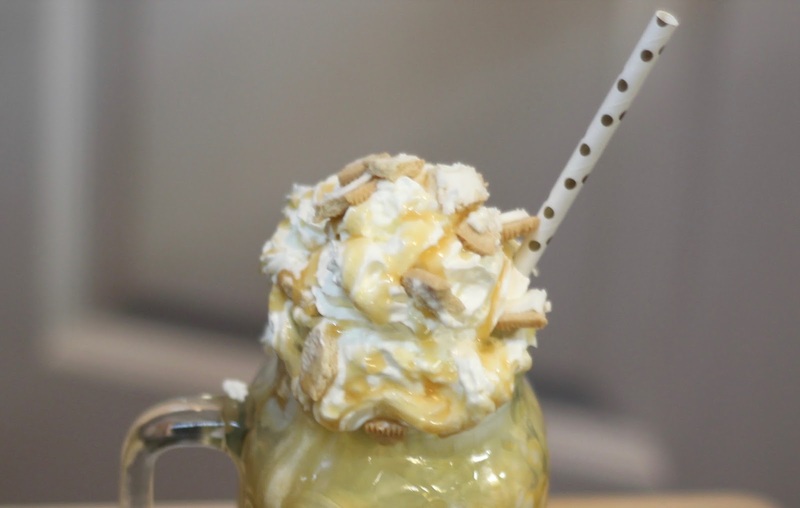 Got your own Freakshake recipe? Link below! Oh my goodness, this looks amazing! Will definitely be trying this :) great post!